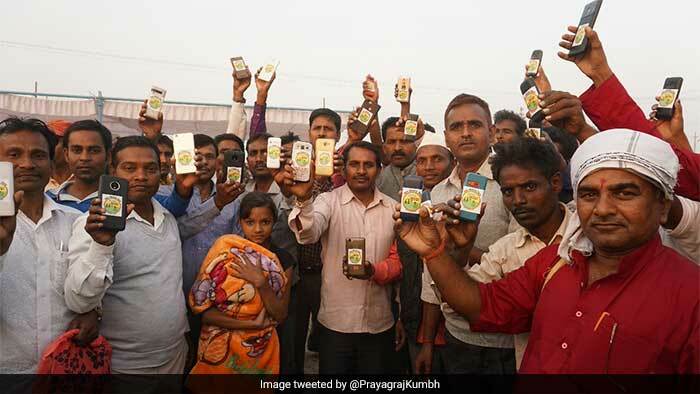 >> Latest Photos	>> Kumbh Mela 2019: Over 1 Lakh Toilets Installed, Will This Be A 'Swachh Kumbh'? 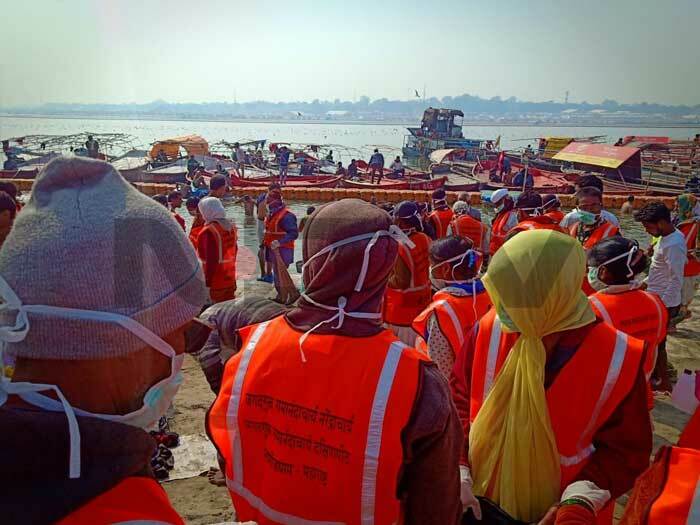 Kumbh that has been accorded the status of 'Intangible Cultural Heritage of Humanity' by UNESCO, aims to live up to its theme - 'Swachh Kumbh, Surakshit Kumbh' (Clean Kumbh, Secure Kumbh) in Prayagraj (Allahabad), this year. 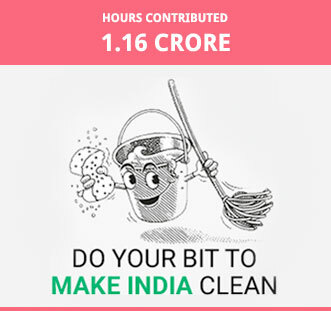 From installing a record-breaking number of over 1.2 lakh (1, 22,500) eco-friendly toilet facilities to training thousands of swachhagrahis (Clean India warriors) who will be responsible for motivating people to keep the premises of Kumbh clean and waste pickers who will manage the garbage, the Government of Uttar Pradesh has done everything to make Kumbh 2019 a stellar example of the Clean India movement. The biggest festival of the year - Ardh Kumbh started on January 15 in Prayagraj (Allahabad) of Uttar Pradesh at the confluence of Ganga, Yamuna, and Saraswati, 'Sangam'. 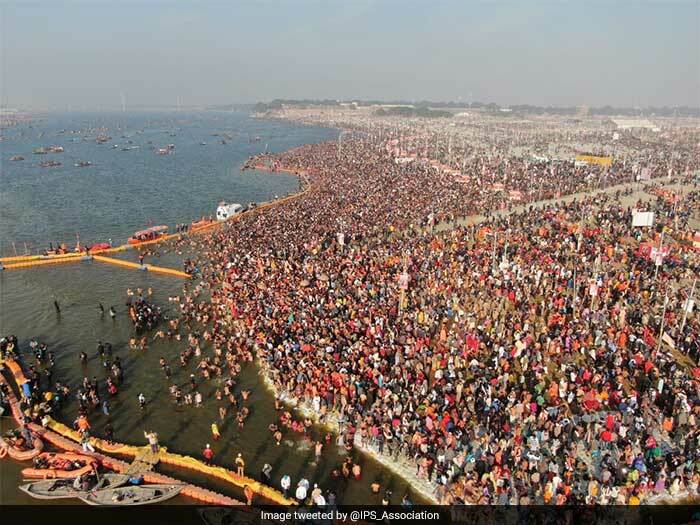 The 55-day long Kumbh Mela will end on March 4, with over 130 million pilgrims expected to participate in the festival. For the convenience of the pilgrims and tourists, this year, the state government has laid special emphasis on cleanliness during the Prayagraj Kumbh-2019. 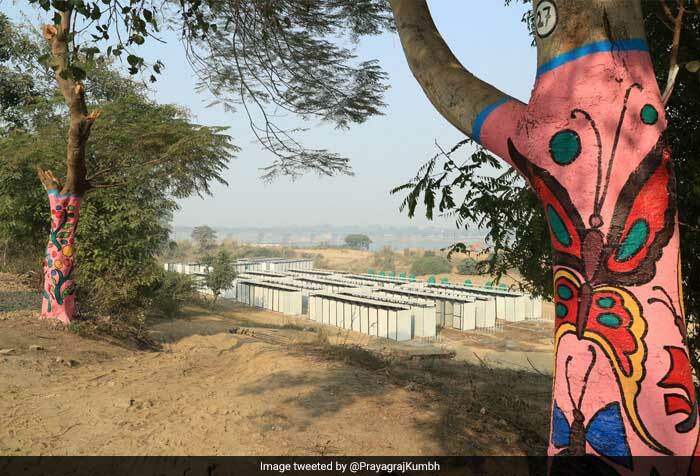 For the first time, the Uttar Pradesh government has installed a record-breaking number of over 1.2 lakh (1, 22,500) eco-friendly toilet facilities with a hope that Kumbh 2019 will be clean and open defecation free. 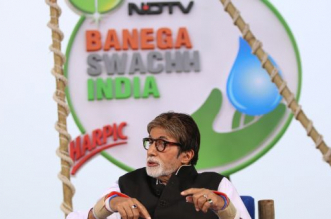 Authorities say, this adequate step has been taken, keeping in mind past experiences of Kumbh, where, inadequate number of toilets led to many instances of open defecation. 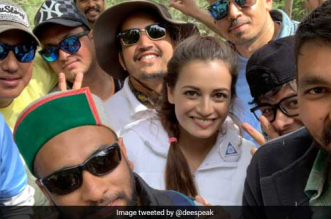 Along with the toilets, authorities have also deployed 1,500 Swachhagrahis (Clean India Mission Volunteers) to monitor all the public facilities and accommodations, so that cleanliness is maintained throughout. The mela has been provided with a total outlay of Rs 4,300 crore from the state government budget to ensure such proper facilities. 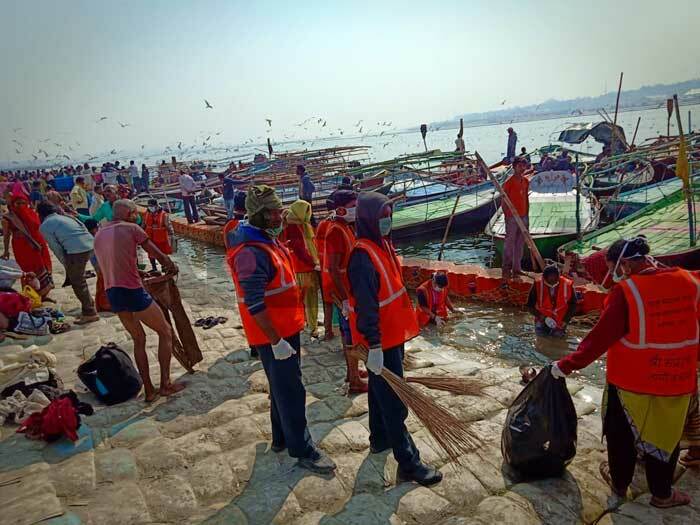 Sanitation workers were also given special training before Kumbh Mela began this year on how they can manage the waste effectively and keep the Kumbh premises 100 per cent clean. 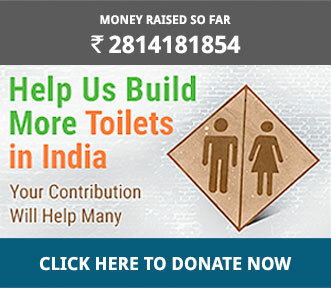 These workers are on a 24x7 duty to keep the areas clean - be it ghats, toilets or city lanes. 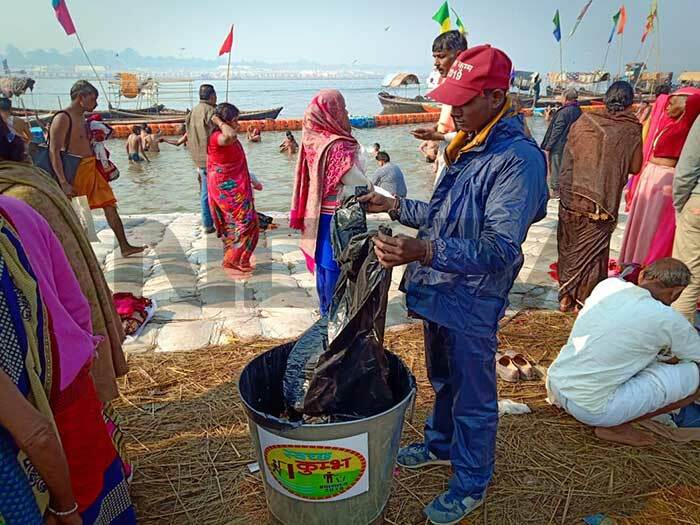 From managing the leftovers that the pilgrims leave behind during the Kumbh to cleaning the makeshift toilets on a regular basis, the 'Safai Karamcharis' are doing it all at Kumbh.